SpaceX will begin building the first ships that will make the human voyage to Mars possible in nine months from now. Elon Musk announced Friday at the International Astronautical Congress in Adelaide, Australia, that his company will be able to send unmanned cargo ships to the red planet in 2022 and 100 explorers will make it to Mars by 2024. 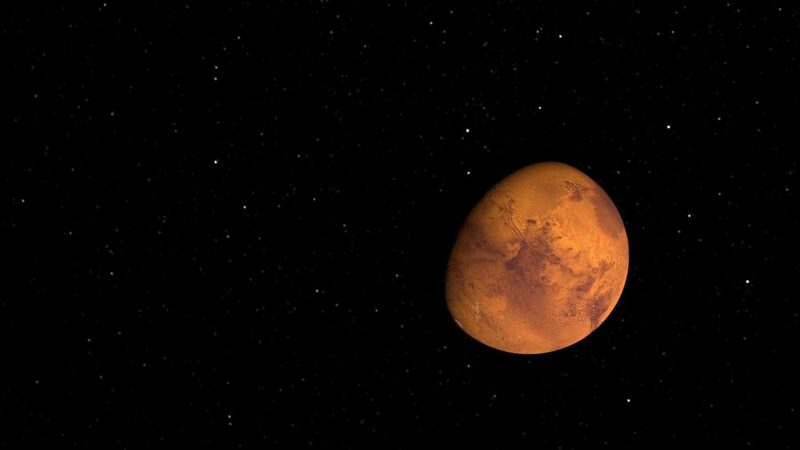 Mars is sometimes located 54 million kilometers from Earth and other times at 401 million kilometers apart from us due to the planets’ constant motion as they rotate on their own and around the sun simultaneously. The first unmanned cargo ships will be sent to deposit the components needed to build the first off-world colony and look for resources. Along with the crewed spaceship, another pair of cargo ships will be sent to establish the settlement. Musk said at the world’s largest space conference that the upstart company has plans to use the Interplanetary Transport System to return to the Moon and also to settle rapid point-to-point passenger transportation on the astronomical body. Musk also announced that the spaceship designed for deep-space travel could drastically change the transport industry on Earth. He said the new reusable rocket ship, which would travel at up to 27,000 kilometers per hour, could also be used to take passengers to any earthly destination in less than an hour. He added in a follow-up Instagram post that the cost of a ticket on that ship would cost “about the same as a full fare economy in an aircraft”. Musk released an astonishing video animation of a flight from New York to Shanghai that showed passengers boarding a ferry to reach a floating launch platform. They then entered the revolutionary spaceship and “blasted off for Shanghai”, as Space.com described the experience. While a conventional flight from New York to Shanghai takes about 15 hours, SpaceX claims it can reduce it to 39 minutes at a speed of 27,000 kilometers per hour. The audiovisual presentation features the rocket’s first-stage booster separating in orbit and returning to land at its launch site. The spaceship continues its flight to Shanghai and lands on a platform. For the return trip, it is then loaded onto another booster. 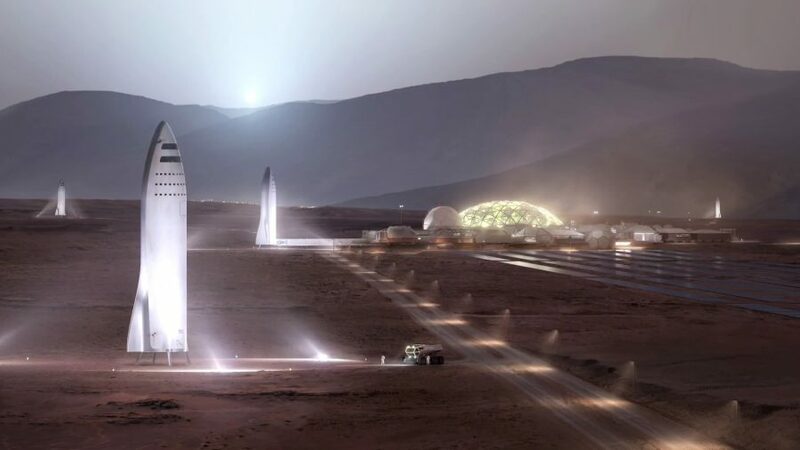 Those amazing flights will help build the mass excitement Musk is pursuing around the Mars colonization topic. However, SpaceX will have to face many regulations and local concerns as opposed to his launches to space. SpaceX has increased its launch frequency from eight in 2016 to 13 this year, which suggests that business is apparently good. However, the development of the new spaceship will cost $10 billion and it is unclear whether the revenue SpaceX currently obtains from launching satellites to the International Space Station is enough to fund the project. SpaceX’s ambitious plans will require a lot of support and investment. The human voyage to Mars and off-world colonization will be actually possible if people and companies worldwide focus on the same goal, which could benefit everyone who believes life on Earth is full of threats such as Jihadism, nuclear weapons, global warming and North Korea. Although space exploration is happening with the Hubble Space Telescope and deep space missions conducted from Pasadena by NASA’s Jet Propulsion Laboratory, the discoveries made through the use of these technologies haven’t had a collective impact compared with the first time humans reaching the Moon. Mass excitement is what Elon Musk wants to produce when he says people not only will be able to reach a distant planet in the near future, but they can also build a whole colony on that full-scale world. Dubbed BFR for Big F****** Rocket, the spaceship will carry astronauts to the Moon, which makes it a direct competition of NASA’s own Space Launch System (SLS). The space agency has plans to establish a station near the celestial body as part of its deep-space exploration project and it is unlikely that it will provide funding for the SpaceX’s spaceship. NASA claims its vehicle will be giant and it already has many supporters in Congress, which controls the agency’s funding. Nevertheless, the SLS is an extremely expensive vehicle that won’t fly to the moon before 2023. It is unlikely that NASA will ignore the BFR if it starts lunar operations before the national space agency.